Raumfahrt - Wird riesig, klebriger Space-Roombas unsere Weltraummüll Probleme lösen? The 2,980-mile-wide (4,800-kilometer-wide) division in Saturn's rings is thought to be caused by the moon Mimas. Particles within the division orbit Saturn almost exactly twice for every time that Mimas orbits, leading to a build-up of gravitational nudges from the moon. These repeated gravitational interactions sculpt the outer edge of the B ring and keep its particles from drifting into the Cassini Division. 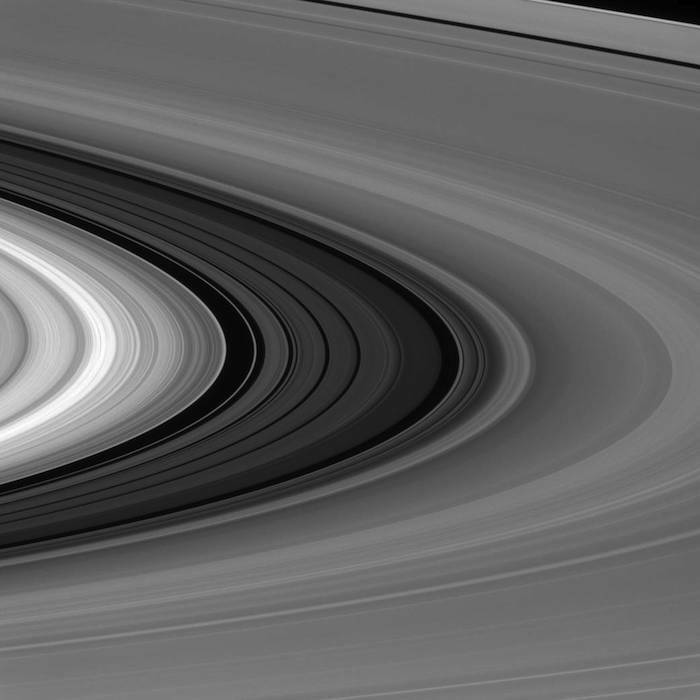 This view looks toward the sunlit side of the rings from about 4 degrees above the ring plane. The image was taken in visible light with the Cassini spacecraft narrow-angle camera on Jan. 28, 2016. The view was acquired at a distance of approximately 740,000 miles (1.2 million kilometers) from Saturn and at a Sun-Saturn-spacecraft, or phase, angle of 76 degrees. Image scale is 4 miles (7 kilometers) per pixel.